As a bulldog breeder we recognise the importance of quality and time. This is a simple process that will allow us to be well organised for your new addition to the family. How do I join the OB waiting list? The process has just been made easy. Simply fill out our online OB Waiting List form. We will notify you with the latest information on future litters. If you’re interested in a puppy from a litter we have emailed you about, you must then email us back to show your seriously interested. This way we can keep you updated with the progress of the litter including the most recent pictures and videos of the pups. A date is then arranged when you can reserve your puppy. Puppies are reserved on a first come, first served basis so the date you join the waiting list has no effect. The deposits taken at this time are a non refundable bank transfer of £250. If you are first to place your deposit you will be the first to choose your puppy. We would rather you choose your pups at a later date (around 4 weeks old) which will give you a more accurate view on how the pups will grow regards to colours and markings. The date for collection is then arranged. Puppies will be ready to go at 7.5 weeks old. 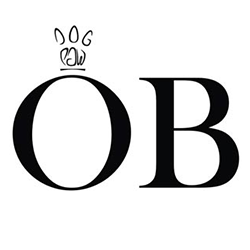 This is best time, its the time you meet the OB Team, collect your puppy packs and enjoy your first moments together including a few photos!